Ask anyone who has attempted to sharpen their edges without one and you’ll quickly understand the importance of a fileguide to the whole tuning equation. Our wider snowboard-specific guide makes getting the right angle even easier when sharpening or polishing with simple 87-to-90-degree side-edge and 0-to-3-degree base-edge bevel adjustability. Even if you’re not good with numbers, just know that this tool will prevent mistakes and keep your board running smoothly. 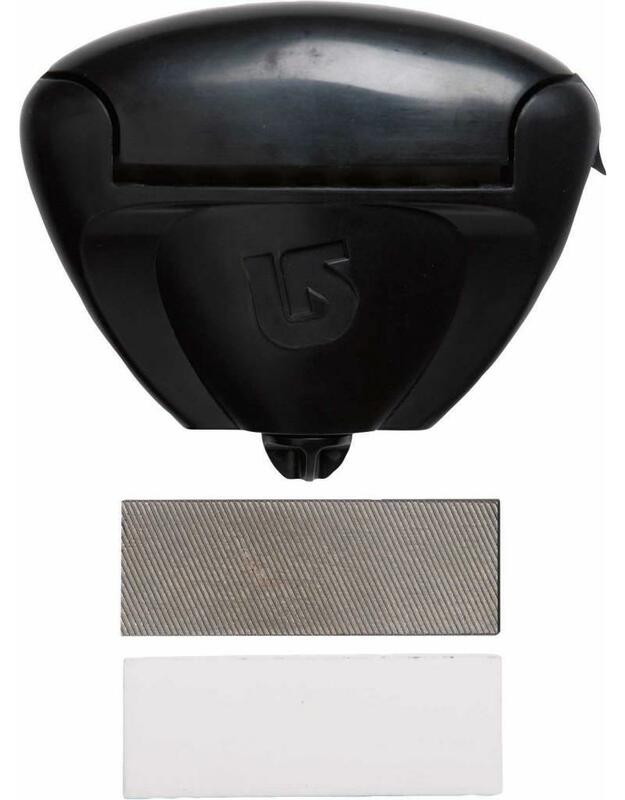 Sharpening file and polishing ceramic stone included.